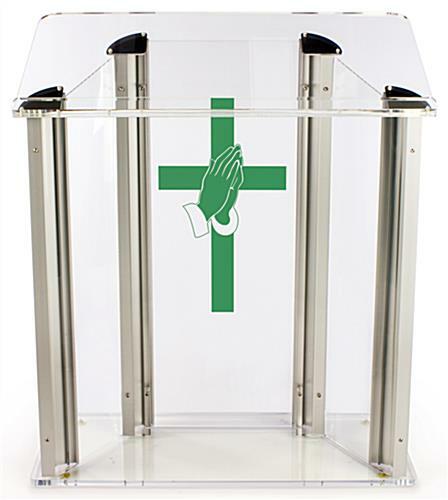 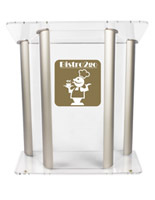 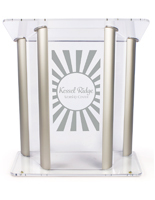 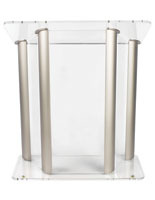 This prayer hands acrylic podium for church is an extra-large, wide contemporary lectern featuring a modern clear acrylic and anodized aluminum. 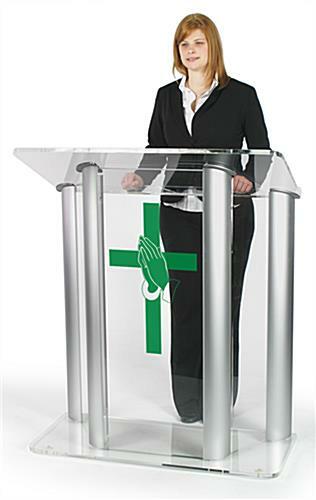 This elegant see-through plexiglass floor stand offers a 51" tall design with 42.5" reading surface with a 1.25" deep book stop for bibles or reading materials. 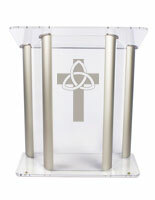 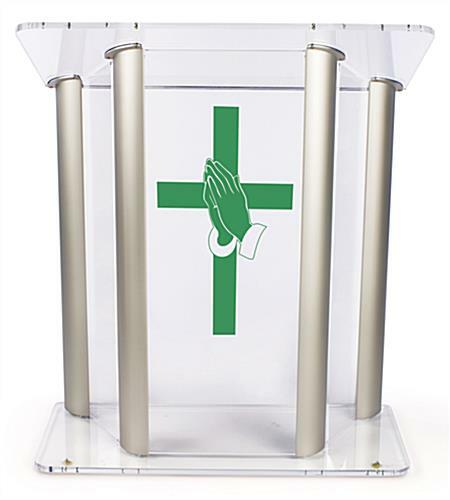 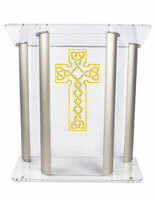 Each imprinted acrylic podium for church features a one-color stock prayer and cross image that will keep attention focused on the speaker and the pulpit during sermons, services, and ministry sessions. 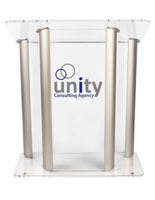 This lectern fixture display's high visiblity floor standing design is printed in a choice of ten vinyl colors that give a custom look. 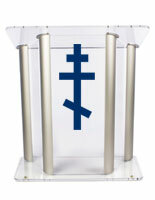 This acrylic podium for church with supplication cross graphic is an economical way to give a touch of modern, contemporary style to any religious or ecumenical facility. 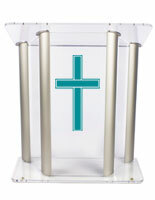 This extra wide clear lucite and silver finish aluminum speaking fixture display with extra-large reading surface and 1-color cross imprint will match and complement any decor. 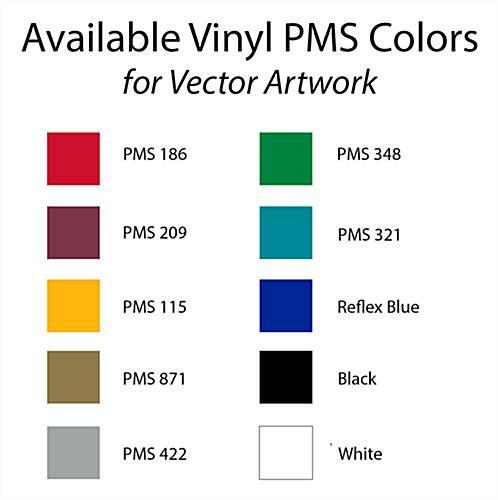 42.5" x 51.0" x 17.5"